Many Panhandle residents who have lost everything haven’t taken showers or been able to wash clothes in more than 12 days. 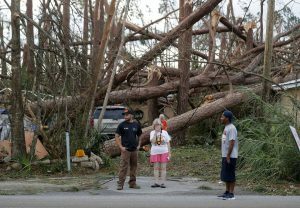 Published 10-23-2018 1: 15 p.m.
Nearly 2 weeks after Hurricane Michael ravaged the Florida Panhandle after making landfall in between the coastal communities of Panama City and Mexico City, many of the small an not well known communities farther inland are feeling stuck because they cant leave there house due to either being blocked in by falling trees; either in there drive way, or on there vehicle or in there home. Many also are afraid to leave what may be left of there homes & belongings, for fear of looters. Although a lot of the main power grid to businesses, schools and government buildings that are habitable are coming back online. The same can not be said for the thousands of homes that have suffered catastrophic damage and are still uninhabitable due to major repairs that are needed. Many of these homes are in rural areas that are hard to get to because of all the trees that are down. Many of residents in these areas haven’t taken showers or been able to wash clothes in more than 2 weeks, due the need of running water, and most of these people live on property that either have well’s that need electricity to run or are on county water, but the damage to there homes is so great they either have no electric or no water. 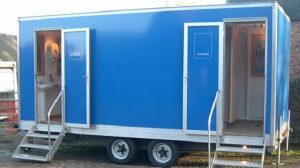 Many folks have commented on our social media account expressing the dire need for porta potties and mobile shower stations needed to be placed inside of these heavily devastated areas and neighborhoods. These areas include, Washington, Bay, Calhoun, Liberty, Gulf and Jackson Counties, as well as the following areas; Bayou George, Youngstown, Blountstown, Fountain, Marianna , Wewahitchka, Altha, Alford, Callaway, Mexico Beach, Lynn Haven, and Springfield. All of these areas have a dire need for neighborhood porta potties and mobile showers stations. 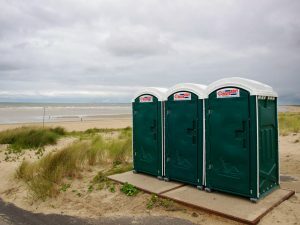 Porta potties, mobile shower and hand washing stations are the number ones necessities mentioned that are desperately needed with the Rider’s dealing with the aftermath of Hurricane Michael. Most if not all of these Rider’s have also lost all of there everyday basic living items from the sheer Wind Power of Hurricane Michael, that with the winter approaching a lot of these Rider’s could face weather conditions that could become a matter of life and death if a freeze comes in the forecast anytime soon in the Panhandle Region. Some of these items include gas for generators, water, ice, gas cans, clothes, jackets, blankets,pillows, baby formula, can goods, diapers,wipes, garbage bags, solar cell phone chargers,tarps, tea lights, and batteries. Several of our followers reached out on Social Media, to share with us what there immediate needs were, now nearly 2 weeks after Hurricane Michael made an historical landfall in the Panhandle and flattened all in its path up through the Florida-Georgia, Alabama State Lines. “Gas, water, ice. All areas. Some lost a little. Others lost everything they own. All areas of Bay, Calhoun, Jackson counties. ” So many people can’t get out. We have driven around some but most people are needing what we need as well. 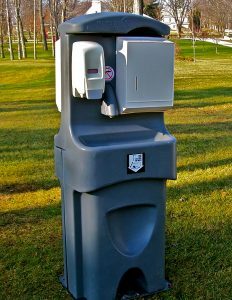 Ice, tea lights, batteries, water for flushing toilets, diapers, wipes, baby formula, tarps, garbage bags, borrow a charged phone. Many have no way of communicating because their devices are dead. ” Paper product ,plates plastic silver ware.Cups..
Marianna, i asked today no one had any. Im so thankful for ever thing i have received .Every one has been so helpful.And kind .I feel so very blessed..I might look like im walking around in a daze.I sure do thank God i am walking.. Anyone wishing to provide any assistance to these devastated areas are encouraged to reach out and message the Rider’s Of The Storm Recovery Resources Page or post a visitors Post; to let us and the storm survivors know of the help you can provide. 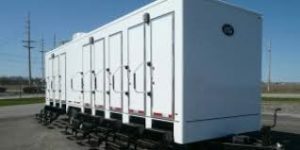 If you are a company looking to provide porta potties, hand washing stations and mobile shower trailers, you are encouraged to also reach out and message the Riders Of The Storm Recovery Resources Page. Previous PostPrevious Southern Texas on alert as Category 5 Hurricane Willa poises to slam into West Mexico late Tuesday afternoon. Next PostNext Rider’s Of The Storm has put together a comprehensive list of 95+ Government and Civilian Links to aid you in the long recovery process of recovering from Hurricane Michael .